British investigative website Bellingcat says the second man authorities believe took part in the attack is a doctor in the Russian military. A British investigative website claims to have some clues about the U.K. nerve agent poisoning suspects . Digital organization Bellingcat says it now knows the identity of the second suspect involved in the Novichok attacks in England earlier this year. It identifies him as Alexander Mishkin, a 39-year-old military doctor working for Russian military intelligence, or GRU. Last month, Bellingcat claimed the other suspect was a GRU colonel. 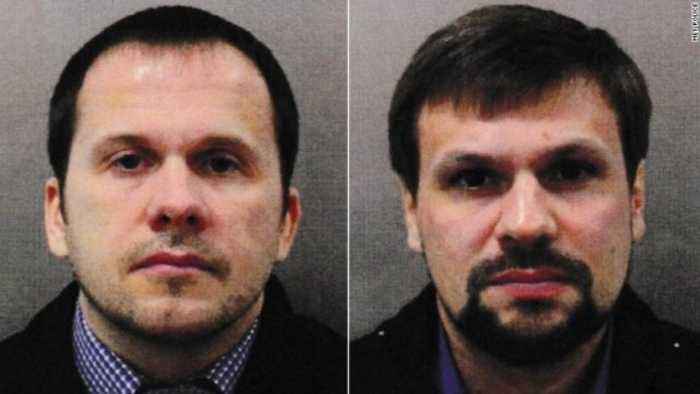 British authorities have long said they believe the two men were using aliases when they traveled to Salisbury, England, and poisoned an ex-Russian spy and his daughter in March. U.K. prosecutors charged the men in connection with that attack and believe they were involved in another Novichok poisoning case several months later. Bellingcat is a group of volunteer detectives that investigates crimes. It says it identified Mishkin as a suspect after it combed through passport information and other records. British authorities haven't confirmed the identifications. Russia has denied any involvement in the incidents. Additional reporting from Newsy affiliate CNN .